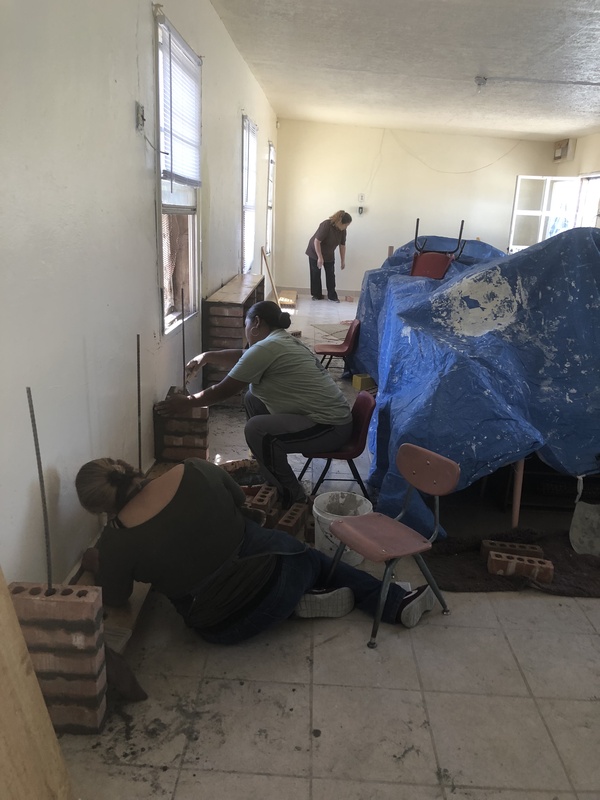 Many of you shared how pleased you were with our plans to start a Montessori school at our Las Alitas center in Juarez, which will be staffed by our newly graduated teachers. 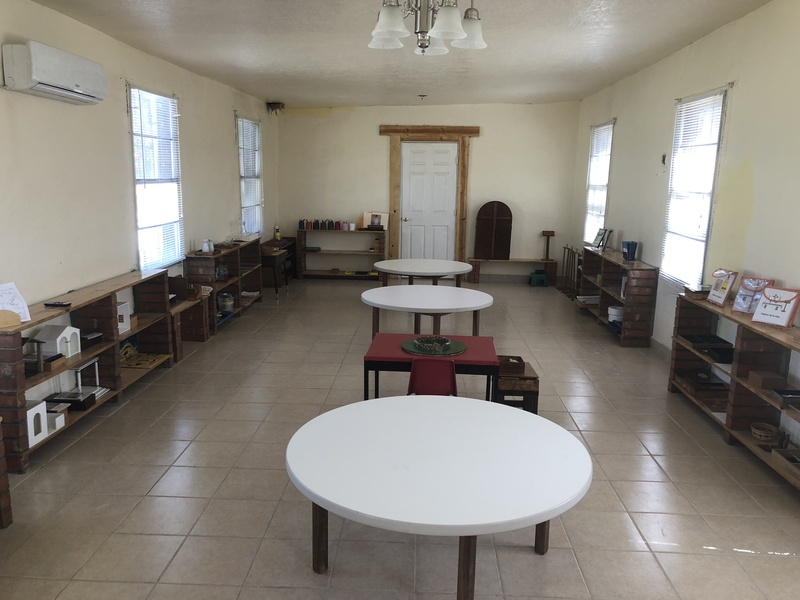 But you may not know that several years ago, we used to operate a Montessori kindergarten at the Lord’s Food Bank, our other main base of operation in Juarez. Sadly, we had to shut it down due to licensing issues, but now we have plans to re-open it since we have these certified teachers that want to help us. 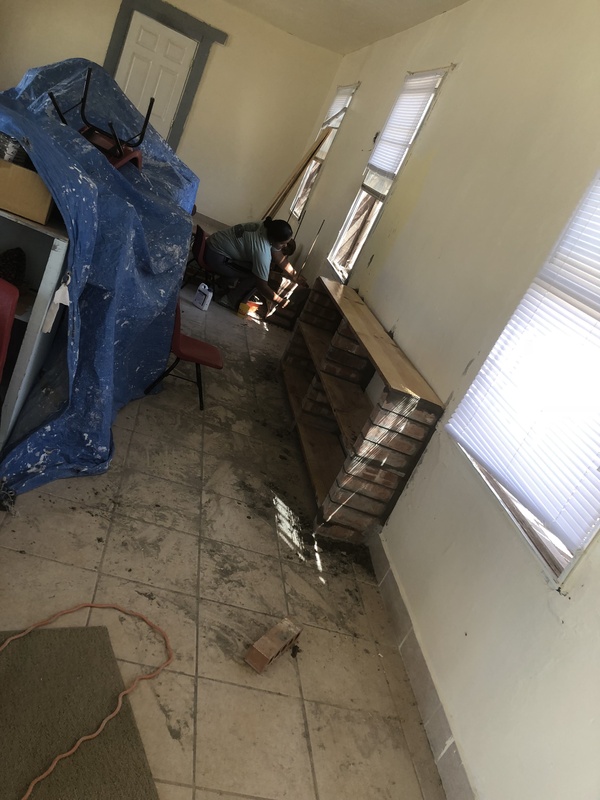 The first order of business was to fix up the school rooms that had fallen into disrepair and were in great need of renovations. Our dedicated staff of volunteers rolled up their sleeves and got to work. The repair crew fixed ceilings, walls and floors, and put on a fresh coat of paint. Then the women got busy getting rid of debris, setting up shelves, and doing a thorough deep-clean from top to bottom. As you can see from the photo to the right, they did an amazing job! Here is one of the classrooms ready for the children. Our goal is to begin offering Montessori classes again at the Food Bank once we get the paperwork and details worked out. Thank you for helping us bring hope and the chance of a good education to the kids in these very poor colonias of Juarez. Member of The Lord's Ranch Community for over 30 years.